Netminder Ben Bowns says the advice and experience of Stevie Lyle has been invaluable during the World Championships. Robert Farmer was in the right place at the right time to tip in a rebound with under 6 minutes left to play to give Great Britain a 2-1 victory on Tuesday. Russ Cowley wins his 50th cap as Great Britain take on Estonia on Tuesday. Two goals within 16 seconds saw Mark Richardson come out as the hero for Great Britain as they stunned Croatia with a 3-2 overtime win. David Phillips wins his 50th international cap today while 6 others are awarded their debut caps. 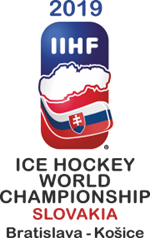 Great Britain begin their World Championship campaign today as they take on Croatia. Great Britain have completed their first training session in the Netherlands ahead of next week’s World Championship (Division 1B). Great Britain Prospects made it a double-winning night for GB with a 3-1 victory over Romania at the Fife Ice Arena. Not many countries outside the top division bring such a fan support as Great Britain does.